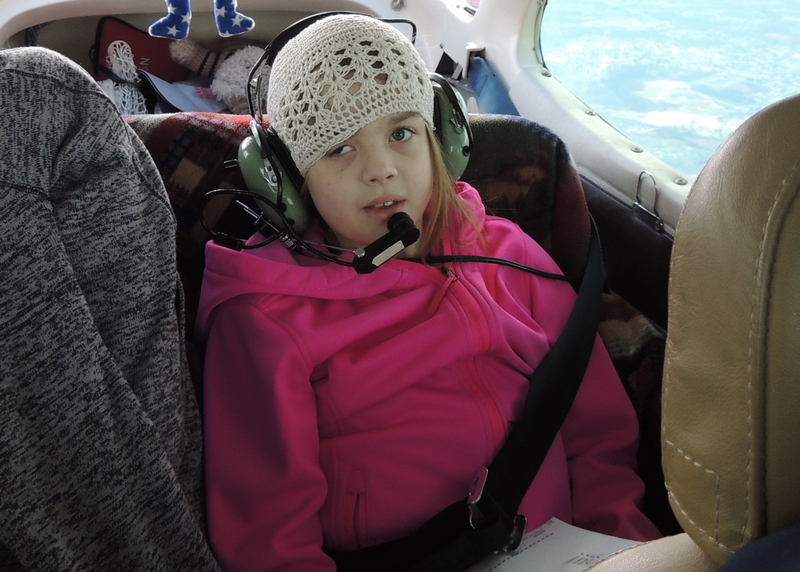 Todays Angel Flight took us down to South Hill Virginia to pick up our cute little passenger Kendall and her Mom Sindy. We have flown this delightful young lady before and what an inspiration she is ! The flight down to South Hill was at 6000 feet and the ride was quite choppy….. strong winds with a lot of wave action. The landing at South Hill was visual with a strong, gusting cross wind coming across a line of trees. Kendall was working on writing a story…… so cute and smart ! That was something funny ! If you have enjoyed this, please become a follower of our website by leaving your name and email in the boxes below. We will send you an email to sign on, then you will be a follower and receive notice each time we post on our website!